The NBA season opener is around the corner, and it’s like, wow, who even cares the NFL and MLB playoffs are in full swing? You have three-point buzzer beaters, alley-oop dunks and 7-foot behemoths saying get that garbage outta here. It’s when everyone’s team has a shot at grabbing that Finals championship trophy. 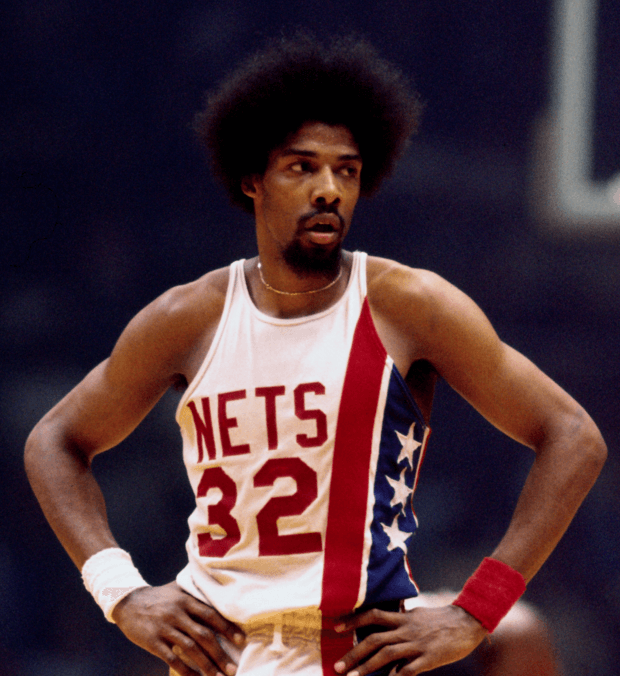 The association has been home to some of the finest longhairs to fire a free-throw, so let’s count down the all-time top 10 longhairs in the NBA. The Brazilian big man in Cleve-land, he’s rolling with the King and Kyrie Irving, a rock solid defensive player in the post. It’s considerably colder in Cleveland than Brazil, but the wild thing and his wild mane heat it up on the hardwood. Not considered one of the league’s top big men, but he’s a good rebounder, insanely athletic and a better than average perimeter defender for his position. When he’s flying down the court on a fast break, everyone knows he looks badass with those locks flowing behind a strong reverse two-handed jam. The starting center for the windy city team won two NCAA national championships with the Florida Gators and was the 2014 NBA Defensive Player of the Year. Every night he goes out on the floor with a highball, the gentlemen’s man bun. Led his team to an NBA championship in 2011 en route to the Finals MVP award. Also before he brought his team to a championship he was the 2007 NBA MVP. But when he’s in his homeland of Wurzburg, Germany during Oktoberfest pounding brewskis he lets his locks fly in that cool German breeze. One of the best point guards in the last 10 years, 2-time NBA MVP, and 8-time all-star. His number 11 was retired by his college, Santa Clara, and his signature head-fake left his long hair and defenders alike going the other direction. King of the crossover, 11-time all-star, 1997 Rookie of the Year and 2000 MVP. His number was retired by the Philadelphia 76ers, but he’s more known in certain circles for that sick creative braid game. 3-time NBA champion, 2-time Finals MVP, 3-time league MVP and a 12-time all-star. He had his famous number 33 retired by the Celtics, and while he wasn’t the biggest or most athletic guy on the court, he was a prolific shooter, passer, and rebounder. When he and Magic were in the fray, Larry won the hair battle. 1975 NBA champion and Finals MVP. Great moving with and without the ball, great passer and dynamic scorer with a quick catch and shoot and underrated defense. 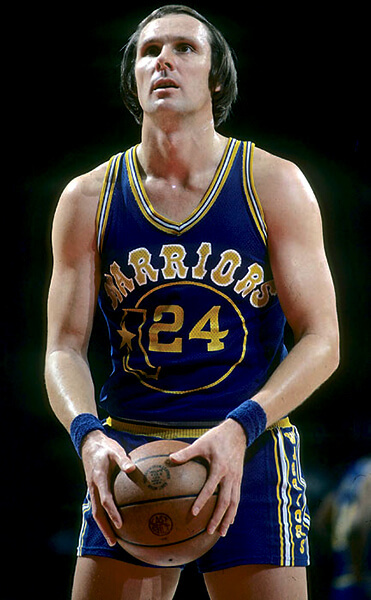 His free-throw shooting was a little quirky, but his hair game was in full-court press. A great player, coach, and executive, winning a championship as a player with the Lakers in 1972. As a coach he won five championships and was 3-time coach of the year. As an executive he won 3 more championships, and was Executive of the Year in 2011. While he may not have had a full flowing mane, his signature slick-back was no stranger to his collar. 1983 champion, 11-time all-star and the 1981 NBA MVP, his great number 32 was retired by UMASS. From throwing down half court lobs in Rucker Park to elevating on Bill Walton in Portland, his legendary afro went hard in the paint, and will always be remembered for playing above the rim. 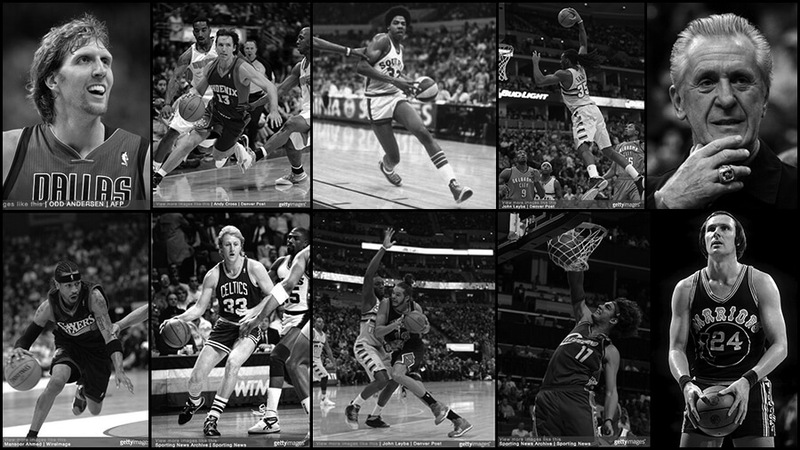 There you have it, our finest all-time longhairs in the NBA. Head fakin’ or shakin & bakin’, these ‘fros, braids and manes are sinking buckets and driving lanes. So show a little love for our longhaired brethen on the hardwood this season. My grandson is 11 and im raiseing him and hes of indain blood he has decided to let his hair grow out and his basketball coach says he has to cut his hair to his ear lobes and he dont want to and im not makeing him but he gets told if he dont then he cant play and he loves basketball. He is adhd and that is the only thing that he loves doing. Hes not in to video games or electronics. So im proud hes in to ball but there makeing me have to choose into home school where he cant play or cutting his hair. Ive told them him haveing long hair does not make him a bad player does not define him as a human. Thanks for sharing here Angie. There are some boys being banned from school for having long hair. Here is another post worth reading: Bullies and Boys With Long Hair. We advocate for hair equality, whether in school, sports or business. Hoping it turns out well for your grandson. Give him a high five and a hair whip from The Longhairs!